At top-level chess is both useful and pretty demanding. In my head, always a chess position is the only way I know to constantly keep learning and improve. But this is not enough. At tournaments it is important to find the right balance between analytical thinking and creative energy to achieve the best result. When it fails to do, it seems natural in such moments, I can’t even imagine that they are able to lose. The last few years, I continued to study chess, but struggle to meet the standards increased understanding of the game world may be disappointed. Too often I’ve had a painful experience — to make well-considered, and immediately after the fingers have released the figure, to understand why my plan was flawed. And it’s not easy to fix. You cannot doubt your gut before every move. Confidence and the ability to convey that confidence to the opponent, is essential to perform tasks at the highest level. Most of my life I play chess and I consider them to be his vocation, but in 5 years when I first became acquainted with the game, it gave me only a fleeting interest. It was not love at first sight. Actually chess has brought me a children’s ridiculous common motive — rivalry with her older sister. She then played better, and I really wanted to win it. Over time, my relationship with the game has seriously changed, but I have always benefited from the incredible influence of chess on my learning ability and development. From a young age chess has improved my ability to concentrate and make decisions. They forced me to sit still, to think consciously, to be persistent and to analyze moves for a long time, without having to search in Google. I learned to deal with disappointment, to form a strategy to fully realize the complexity of the problem and even to resist defeat. But the educational benefits of chess, not only can GMS. 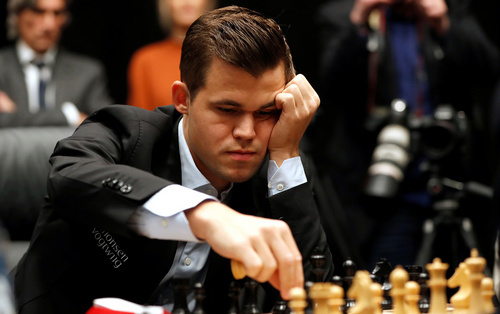 I think that chess can stand up to the many challenges we face today: fragmented attention, indecision, lack of endurance and discipline, is caused by too much screen time in modern life. Technology forever changed our way of life, learning and fun. The current children’s insatiable appetite for fast, eventful and often it seems that we are helplessly witnessing the suffering of their patience and critical thinking. These are complex issues, but I think we can refer to ancient medicine: two-tone chess Board and 32 pieces. Several studies show that introducing children to chess contributes to academic performance in mathematics and the natural Sciences, but also improves their language skills, memory and ability to make decisions. This is all very valuable qualities, which have become a rarity in the labor market. In one experiment in the schools of the Danish Aarhus in 2013, the weekly mathematics lessons were replaced with lessons on the theme of chess and as a result, children have a better time in math. I’m not a purist when it comes to the platform for playing chess and teaching methods. So that the next generation learned the lessons of the ancient game, it needs to be modernized, adapted to the way children live now. To attract more children to the game of chess, we must make them available and attractive, and come to them to where they are now — on tablets, phones and computers. I’m trying to contribute, creating a space where chess served fun and interactive, and the age and player level don’t matter. Together with a team of grandmasters, we used my company Play Magnus for the development of digital products for playing and training. In my opinion, the learning process should be fun, so we turned the traditional chess with up with mini-games, interactive content and animations — gamebecause the game for a modern audience. Our latest app Magnus Kingdom of Chess specifically designed for children 9 years and younger, who are first introduced to chess. At the moment we have around 5 million downloads and we continue to work on new concepts for different platforms, to make the game as accessible as possible for everyone, regardless of gender, age and qualifications. I created the company along with several co-sponsors, but now I Play Magnus is the institutional investors and it is worth more than $22 million. Of course, nothing can replace the special thrill of playing chess on a real Board is when you feel the tension sitting in front of an opponent who is watching your every move. And still it will be very sad to lose important benefits of chess because of the refusal, even righteous, in the name of tradition, adapt to the changes. This is contrary to the spirit of the game. Chess is about how it is important to remain flexible, to respond to the signals of the opponent and be able to rebuild your strategy to win.